Rick Emmer is a substitute science and math teacher for the Avon Lake City School District in northeast Ohio. He was previously an aquarist at the Cleveland Aquarium and a zookeeper at the Cleveland Metroparks Zoo. 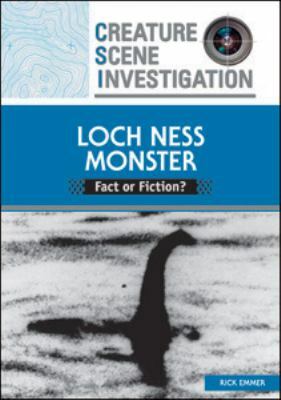 He has a bachelor's degree in biology from Mount Union College and a master's degree in biology from John Carroll University He was a member of the International Society of Cryptozoology for several years.Emmer, Rick is the author of 'Loch Ness Monster: Fact or Fiction? (Creature Scene Investigation)', published 2010 under ISBN 9780791097793 and ISBN 079109779X.